Held in conjunction with the Artists Archives of the Western Reserve signature Art Interprets Alzheimer’s Exhibition, this fascinating event features three prominent and diverse speakers all of which have unique relationship to Alzheimer’s and its effects. FREE and open to the public. GARY LANDRETH, Ph.D. is professor of Neurosciences and Neurology Director of the Landreth Lab, a Alzheimer’s Research Laboratory at Case Western University that investigates the biological basis of Alzheimer’s and its translation into new therapeutics possibilities. CYNTHIA DAVENPORT, M.Ed is the Education & Outreach Specialist of the Alzheimer’s Association Cleveland Area Chapter. GEORGE ROBY is a respected Ohio potter, sculptor, and teacher who is featured in the Art Interprets Alzheimer’s exhibit. 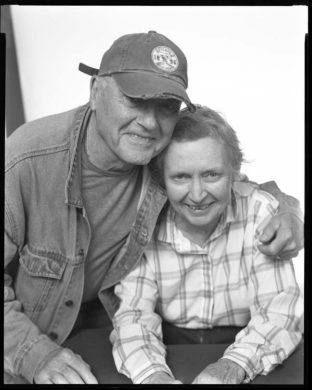 George’s deeply personal pieces chronical his own unique experience as caregiver for his wife Sue as they faced the day to day realities of her Alzheimer’s diagnosis. Exhibition runs June 22nd, 2016 to July 13, 2016 at the Beachwood Community Center and will be available for view Monday through Friday, 9 AM to 4 PM.